Hi everyone. I hope you have had a good start to the new year. My mum bought me a Nail Art Advent Calendar this year. She got it from The Range. So I just thought I would write a quick post about what I got in it. Sorry for the poor picture of it, it's very shiny and I didn't take a picture of it before I stared opening it...oops! 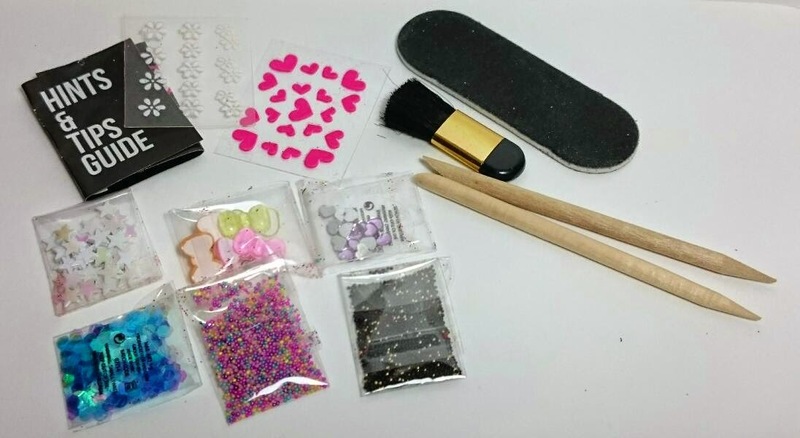 There were various items in it like cute 3d bows, caviar beads, stars, hearts and even a little hints and tips guide on how to apply some of the items to your nail. Among the nail art items were these little packets of glitter and some flocking powder. I have actually used the gold glitter..it was kind of confetti type glitter. I used it on my new years manicure which I am still wearing now. It also included these cute little nail polishes! I checked the consistency of them and they are quite thick so I'm hoping they will be good for stamping! 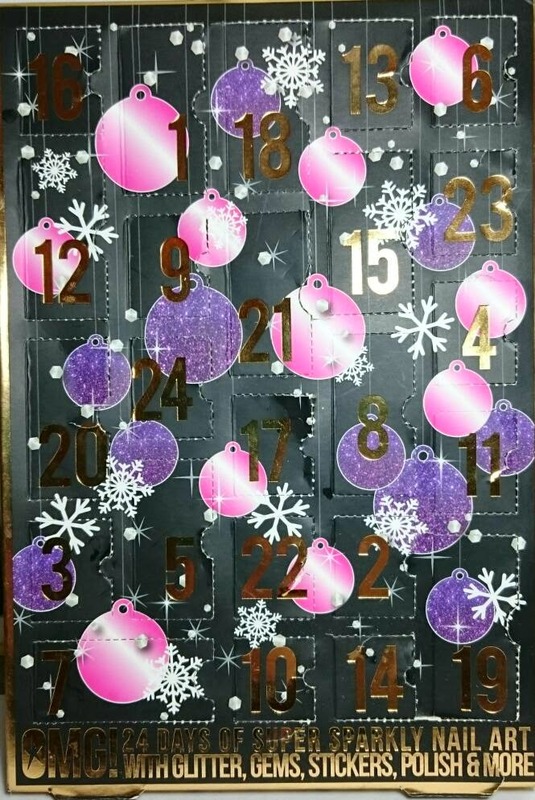 What do you think of this Advent calendar? Is it something you would buy?